Rude Bear Recreation is the 11th Rude Bear game in the series, and the 3 year anniversary game. Rude Bear has to enter Rad Boar’s growth, which has been grown by The Wizard, and grow medicinal marijuana inside it to cure it. Because that’s how that works. It was for Ludum Dare following the themes “Growth” and “Two Button Controls”. On the way he must fight his way past Rad Blood Cells and other assorted bacteria to fill up the growth with [insert euphemism for weed]. It uses one button for basically everything (and another button to restart for speedrunning) and it’s cool. I was exhibiting at Insomnia when I made it. It’s made by Unlimited Rudeness (me, Simon and Kitt) and Atmospherium. It’s, like, super fun. It came 10th for fun but if you know how close Ludum Dare is, you know that’s basically first. It basically came first, yo. No but seriously it’s really fun and you should play it. Rude Bear Realms is the first RTS in the Rude Bear series and is a culmination of an overly ambitious project, an interesting idea that didn’t translate into particularly fun gameplay, and a broken internet connection that cost a significant amount of jam time. The music was by Atmospherium, the art by Simon and Kitt, and the SFX by Sonny Bone. You play as Rude Bear’s mortal nemesis – The Wizard, and have to conquer the world, with an army of Rad Boars, Robed Birds and Red Beards. Your birds act as spies, and can gather information about towns proportional to how long they investigate for. Their information is only relevant on the day it was gathered though, so if they arrive home 10 days afterwards, your information is 10 days old (and is dated in the UI). Use your spy network to figure out how much money and how many guards a town has, and work out the schedule of The Merchant (whom you can rob) and The Hero (who will kill all your minions). They can also murder guards in the night. Use your boar raiders to pillage towns, steal their money and battle with their guards, though they will all be defeated if they end a day in the same town as a Hero. As they raid, a town gets more likely to uprise, adding more guards, and will have less money. If you raid a town too much it can be completely decimated. When your troops return home, you can kill them to increase their fear. Minions who fear you work harder, get better information and give you more of the money without hiding a cut. It’s important to occasionally sacrifice a minion for the greater bad. Once you have enough money, position Keepers in each base around the world to take control of them and achieve victory. Rude Bear Raid is the ninth game in the Rude Bear series. It was created in a weekend with Simon Wong, Kitt Diamond and John Pennington for Ludum Dare 32. The game is an asynchronous online team battle arena: an internal war between Boars and Bears. The theme of the jam was “Unconventional Weapon”, so the weapon is you. At any time, either when you’re about to die or active, you can press a button and transform into a defensive turret, leave a taunt to your opponents, and instantly respawn. There are 3 classes, each with its own weapon, move style and turret type. Placing units opens up further rooms in the base, so you have to defend to move ahead. You can either go full assault, full defense or a mixture. This game requires friends, but if played over Skype with mates is the best Rude Bear jam game. Miri Kiri was made in 7 hours for the Creative Assembly Game Jam at EGX Rezzed in London, and won first place as judged by The Guardian. Keith Stuart from The Guardian described it as “Fruit Ninja meets a drunken rabble“. There were multiple themes to choose from in the jam. We chose “Ed Milliband cuts energy bills”. We took this extremely literally, taking him to Japan on a quest to find the Sacred Ofgem. He battles his brother David to cut the most bills. It’s a three player game, where the third player is the audience. As the audience shouts, the bills increase. I wrote the physics and microphone script, my friend Nathan John (Standpoint/Warpball) did the UI and stage hype, Christopher White (Paperbound) did the music/sounds and voiced the intro, Gaby In-Wonderland (Freelance artist) did the character & background art and Maz H did the UI art. PRWA9 is part of the extended Rude Bear universe. It was created in about a day for Global Game Jam 2015 at Manchester’s Jam Site, which I also organised. Clarence Hopkins and Hatebreeder IV have finally complete their quest to defeat the mighty CatLord 9000. But now the end credits are over, what do they do? The rats have psychic powers and can levitate objects, push switches with them, use regular objects as hoverboards and elevators etc. etc. and must solve a series of puzzles to find their fate. Art is by Gaby In-Wonderland. It’s only playable with a couple of 360 pads and really annoying to set up unfortunately. Probably not even worth your time but it’s here for the catalogue’s sake. Rude Bear Ride is the eighth game in the Rude Bear series. It was created in a day with Gaby In-Wonderland. Ludum Dare 31 had a theme that restricted the scope of the game rather than the mechanics (“Entire Game On One Screen”, so it ended up just being a spitball of random ideas. Because we couldn’t settle on one we liked, we ended up making 4 games. On the final day we started again from scratch and made Rude Bear Ride. On top of this, Atmospherium dropped out of LD48 completely as he had no ideas, and joined our Ludum Dare team and did our soundtrack for us. It’s a game about slapping people off hoverboards, and it’s local multiplayer only. It was also my first use of Unity Pro, but for some reason one of the Pro Shaders messed up the game in the Webplayer so it’s the only Rude Bear game you have to download. 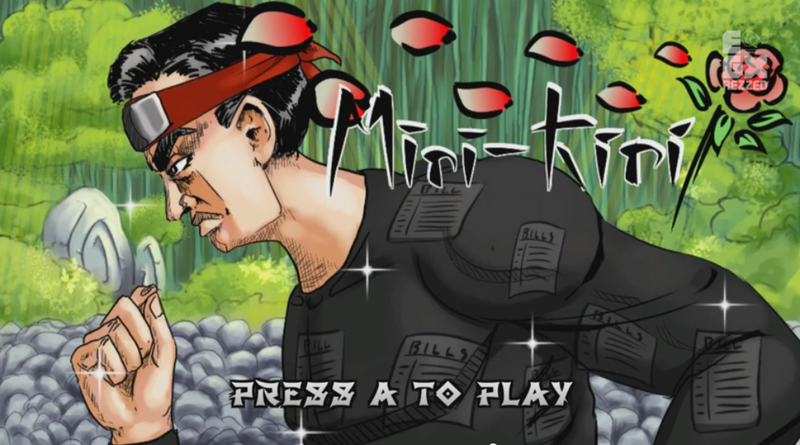 Migi Osu is a game made for Indies Vs PewDiePie at Insomnia53 gaming festival. It’s a local multiplayer game where the aim is to walk as close to the edge as possible without falling off (and hence being eliminated). 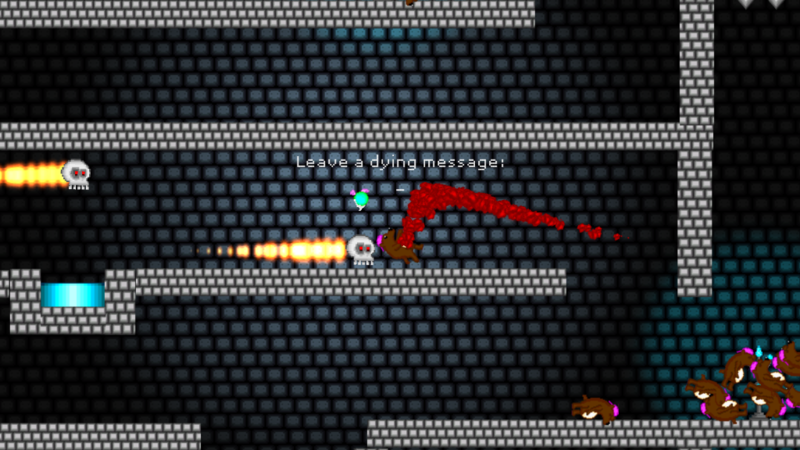 It’s really simple, but we just worked on refining the mechanic and making it feel funny when you manage to survive. The UI/sound and music were done by Nate and Dan, respectively, of Unruly Attractions. 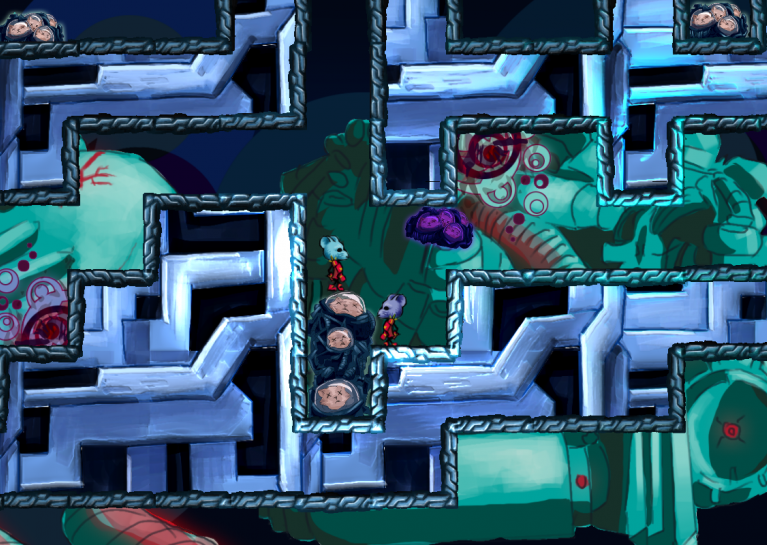 The game art was mostly done by Gaby-In-Wonderland, and secondarily by SinclairStrange. 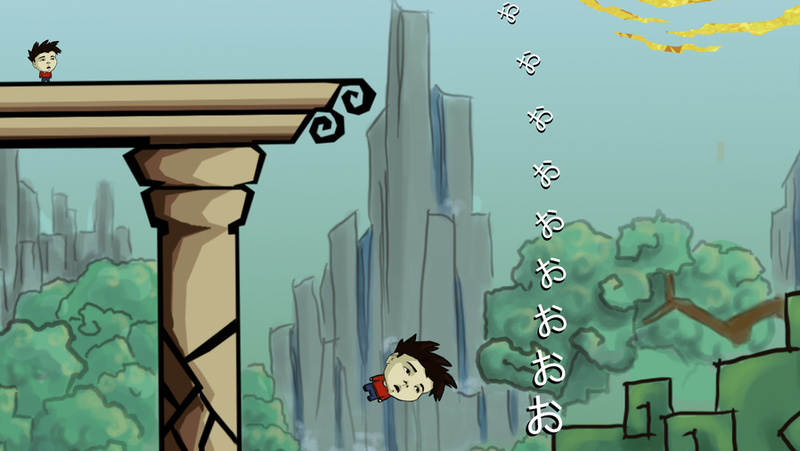 I did the game logic/physics, and arguably most importantly of all, implemented the “おおおおお”s. It’s really dumb, but it’s very fun if you have a few mates and a 360 controller. Rude Bear RPG is the seventh game in the Rude Bear series, the fifth in the core timeline, and the prequel to Rude Bear Rising. It has a realtime puppet battle system, based on classic JRPGs. It’s all controlled with the mouse, but you can defend in realtime a bit like Paper Mario but with a Chrono Trigger style battle system. It was made in one weekend for Ludum Dare 30 while I was at Insomnia52 for the theme “Connected Worlds”. The title screen music is by the very talented Deeco, a Grime producer who’s been in the UK charts several times and writes music for JME, Wiley and Tempa T. The puppet drawings are by my housemate, Antony Dewar, who also did the art for the original Rude Bear. It gives nods to Final Fantasy, Chrono Trigger, Pokémon Red/Blue, Pokémon Gold/Silver, Super Mario RPG, Ocarina of Time, Majora’s Mask, Earthbound, Mother etc. 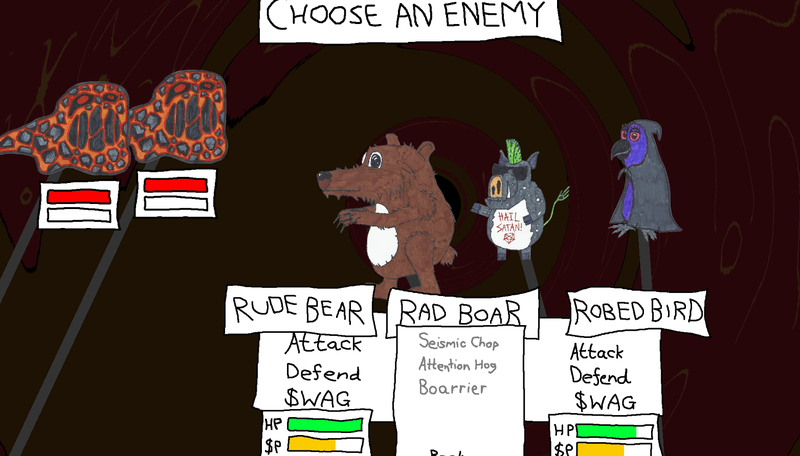 Rude Bear Revengeance is the sixth Rude Bear game. You’re an ursine cyberpunk cyborg who can wallrun, do flips, infinitely jump, do flaming kicks, armed with a grapple laser sword that can hookshot you to things, which you can use to destroy hoardes of robotic enemies. 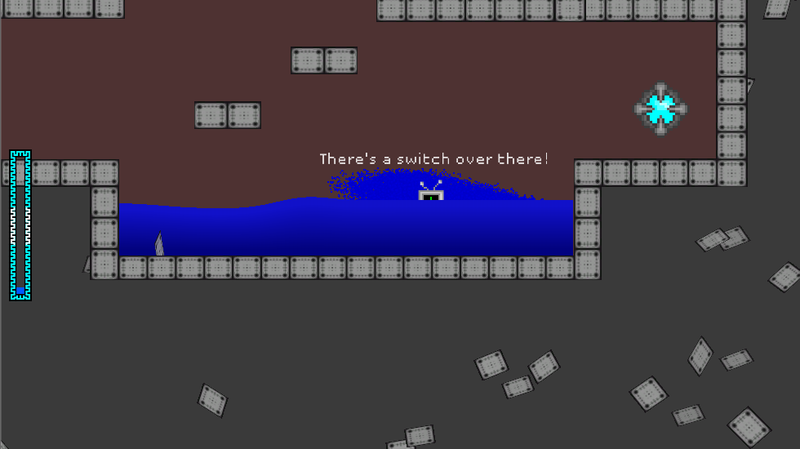 It was made in one weekend for Ludum Dare 29, under the theme “Beneath the Surface”. It takes place underground, but past that it wasn’t really inspired by the theme, it was just a game I’ve wanted to make for a while. It’s just pure gratuitous flippy combat; I just wanted to give the player the feeling of godmode. Although the whip control isn’t great because of the time restriction. This is the first game I worked on with my artist, the very talented Mr. Dan Burrows, as well as two musicians I met on Reddit: Rekkitt and Anchore-State. Midas was made at the EGX Creative Assembly Game Jam along in 8 hours under the theme, “Touch”. 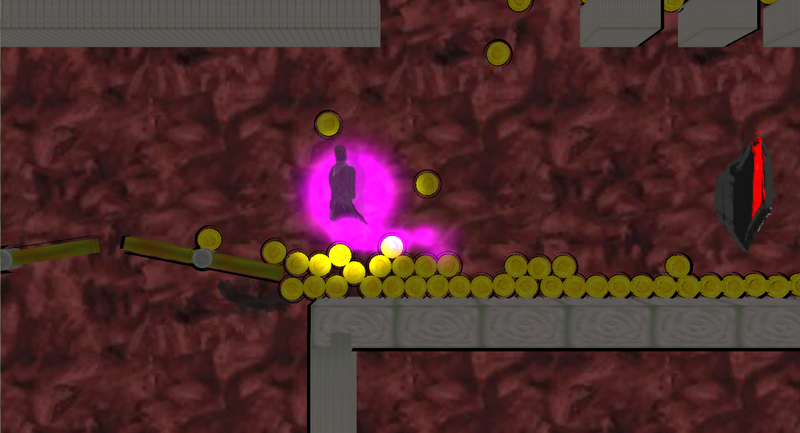 We made a game about the Midas Touch; when you touch objects they turn into coins which you can push around and interact with, fill up bodies of water, jump on and whatnot. I wrote a full Postmortem with my thoughts on the experience. I worked with 3 strangers – we were the wildcard team. I did the coding of the physics, game state, core mechanic, level design, music, lighting and particles. We then delivered a presentation on it. I’m probably going to put Midas in Super Rude Bear Resurrection to make it part of the extended Rude Bear universe, but that’s mainly because I don’t have to add a new section to the site. I also put some work into a postrelease version with two extra levels showing off a bit more of what could be done with the game mechanic. Rude Bear X is the fifth Rude Bear game. 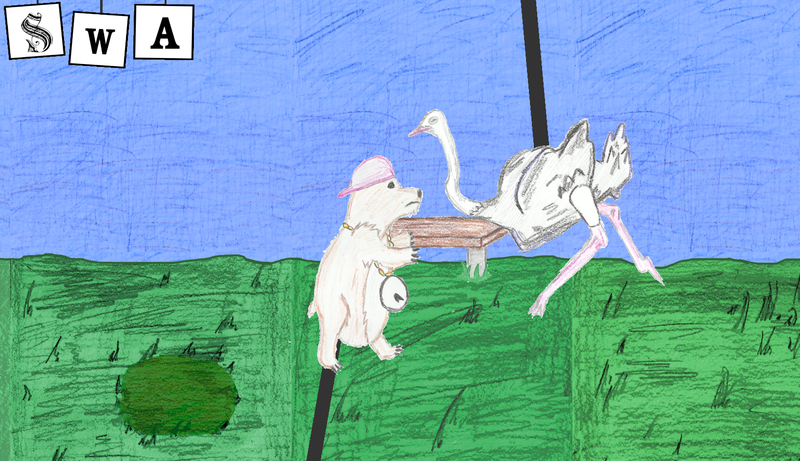 It was made in 2 days for Flappy Jam. It’s actually a lot more in depth than you might expect from a jam game, featuring 4 bosses, 5 characters and a whole bunch of worlds. It had to fit three criteria, “Retro inspired, really hard, endless runner”, but I find endless runners a bit dull so you have full horizontal control, you can surf on enemies, a bunch of different weapons, a health bar instead of dying in 1 hit, et cetera. It was inspired by Mega Man 2. I never sent it to press because I was lazy, so barely anyone’s played it, but it’s my favourite Rude Bear game at least thanks to the surfing. For Global Game Jam 2014, there were no jam sites around Manchester, so Antony and I made a game from home under the same time limit. The theme was “We don’t see things as we are – we see them as we are”. Claire’s Voyage uses the Rude Bear Resurrection engine with a different game mechanic. You have to throw away preconceptions of what certain visual/audial cues mean and analyse the game world programmatically by looking at its pseudocode with the help of your companion. It was featured on Indie Games – The Weblog, Indie Statik and Indie Game Mag. It’s part of the extended Rude Bear universe via Dethkube. All hail Dethkube. 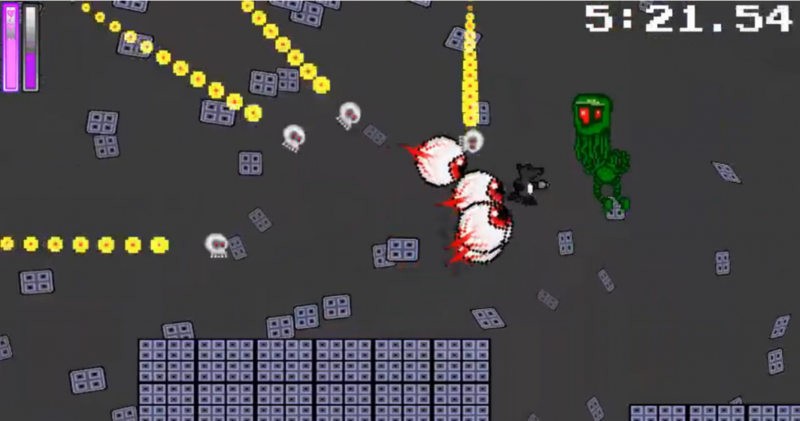 For Ludum Dare 28, Rude Bear Resurrection, the sequel to Rude Bear, was created for the theme “You Only Get One”. It won first place for innovation in the jam. There’s one world you must beat together. You can see and use each other’s corpses and dying messages to get ahead, and activate switches to advance your progress. Your annoying Navi-like fairy companion will guide you through the world and help you burn corpses to get ahead. Whoever wins becomes the endboss of the game. For Ludum Dare 27 I made Rude Bear Radio. It got picked on IndieGames. The theme was “10 Seconds”. It’s a Wario Ware style game with 10 second homages to Super Mario Bros, VVVVVV, Monkey Island, Pokémon, The Helicopter Game, Zero Wing, Space Invaders and Angry Birds of increasing difficulty. Try to get a great score, or play Practice Mode to experienced all the content! For Ludum Dare 26, I created Rude Bear Rising, the prequel to Rude Bear for the theme “Minimalism”. It features a major bug when you get a game over screen, so you have to refresh the page. I’ve left it exactly as it was when I submitted it to the jam, though. In Rude Bear Rising you take control of the confused Rude Bear, swimming around an underwater labyrinth to defeat an evil wizard and save the world. Although the wizard can potentially be fought by Rude Bear immediately, it’s possible to search for items to make the battle more survivable. The items are found in chests, which are guarded by fierce enemies. It started out like Limbo and turned into a Mega Man homage. For Ludum Dare 25, I coded Rude Bear with the theme “You Are The Villain”. It’s left exactly in the state it was submitted for the jam. You are Rude Bear. Your aim is to.. smash.. things and.. wreak.. general havoc. Take that, society. You’re a British Gangsta youth yob whose only aim is to misrepresent bears amongst the animal kingdom. It takes place in some deranged puppet form. It’s vaguely like a running game, except you have full control of your character’s direction, attacks, dodges, equipped weapon, etc. Destroy beehives, benches, traps (all of which you’ll need to acquire weapons to achieve), goats and flamingos to gain SWAG. Once you have a full SWAGGER bar, you move faster and strike harder. Don’t SWAG out though, or you’ll lose.